Not only does our campus boast a unique and historic building, we have some pretty great amenities, too. From a library and quick-stop market to an on-campus exercise room and recycling center, we offer all you need to get a great education, manage your busy schedule, and stay healthy. To better serve your educational and technological needs, we offer a state-of-the-art electronic resource Library located on our first floor. Here, you can gain access to computers, printers, (black/white and color) copier, scanner and fax machine, all with the swipe of your Mav I.D. card. For further assistance on Pharos and wireless printing see our printing tutorial. Each library computer is equipped with online subscription databases and electronic resources, so students can complete all your course research easily, quickly and right on campus. The library is open Monday-Saturday from 7:30 a.m. to 10:30 p.m. Please familiarize yourself with our Library Policies and Procedures. Located in room #126 on the first floor next to the student break room. 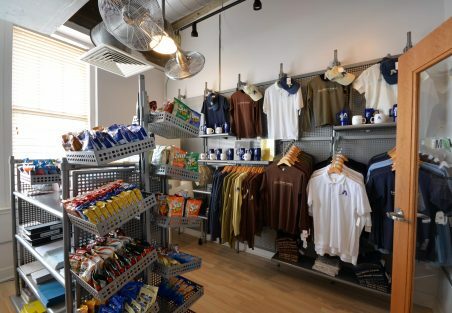 As a UTA Fort Worth student, you can also take advantage of the Maverick Market, an on-campus convenience store that provides everything from school supplies, books and UTA gear to food and drink items. 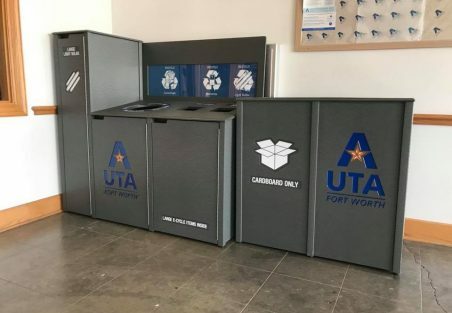 Many of the Maverick Market offerings are made of recycled materials, as part of UTA Fort Worth’s dedication to sustainability. The Maverick Market is open Monday-Thursday 8:30 am to 9:00 pm, Friday 8:30 am to 3:00 pm, and Saturday 8:30 am to 12:00 pm. The market accepts all major credit cards. Located directly across the elevator on the second floor. The Student Lounge is located on the first floor of UTA Fort Worth. 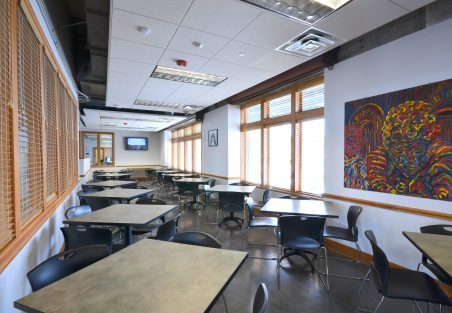 The break room can be used by students, faculty, staff, and other stakeholders. At times, this space may be reserved for University personnel or other outside groups. Signs will be posted when in use. Please be mindful and courteous to all guests and adhere to all postings. Located in room #123 across the elevator on the first floor. 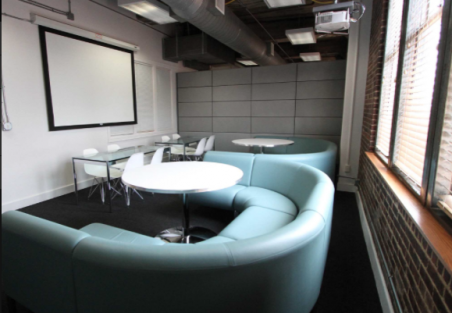 There is small, quiet room on the second floor, known as the “Green Room”, that students can use to study and work. 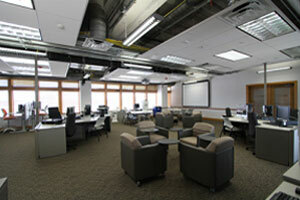 This room is also reserved from time to time for other classes and meetings and therefore may not always be available. Please forward any questions to utafw@uta.edu. If you need a quiet place to study, you can either use the Library or contact a UTA Fort Worth staff member at 817.272.5988 to see if the Green Room, 202A is available for use. It’s open Monday-Friday 8:00 a.m. to 10:00 p.m. and Saturday 8:00 am to 9:00 pm. Located on the second floor next to the Maverick Market. Squeeze in a workout between classes at our on-campus exercise room. It is free to use, all you need is your Mav I.D. card to access. 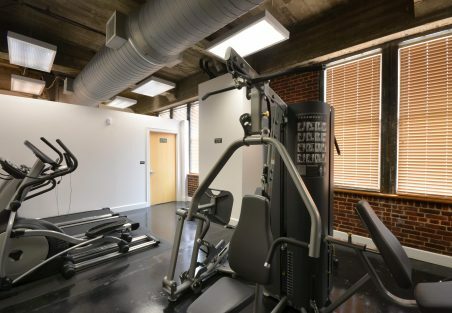 The exercise room boasts a wide array of equipment, including an elliptical machine, treadmills, a weight station and an abs and lower back machine. We even provide a shower and changing room, so you can freshen up before heading to class. Our exercise room is open to all current students, staff, and faculty. It’s open Monday-Friday 8:00 a.m. to 10:30 p.m. and Saturday 8:00 a.m. to 7:00 pm. Located on the second floor, two doors down from the market on the right. Here at UTA Fort Worth, we are dedicated to preserving our environment for future generations of students just like you. That’s why we offer a convenient on-campus recycling center, so you can easily help us with our green initiatives.